The biggest brand of aquavit in Sweden O.P Anderson is going into the cocktail market with their first premixed canned cocktail. Check out O.P Anderson Organic Aquavit Cocktail Lemon & Nettles. I guess we need to come up with a more everyday name for this product. Because telling your friends or spouse that they can pick up a few O.P Anderson Organic Aquavit Cocktail Lemon & Nettles while at the store will simply take too much time. Besides that small problem, this product seems quite interesting. It’s a premade cocktail that comes in a can. The flavor is lemon and nettles which sounds both fresh and with a strong connection to Sweden thanks to the nettles. Personally, I would have loved it to be lemon and elderflower but I’m sure this will be good as well. The cocktail is organic and will be available to order at the Swedish Systembolaget from the 29th of January. Why make an aquavit cocktail? There are a few reasons why you can make or should make an aquavit cocktail. For O.P Anderson the reason is simply that people aren’t drinking aquavit they way they used to. Especially those darn millennials who are even cutting down on alcohol consumption. So how do you save your aquavit brand if the young and hip aren’t buying it? Well, you make a cocktail. Especially since this still quite small piece of the alcohol market is growing steadily. 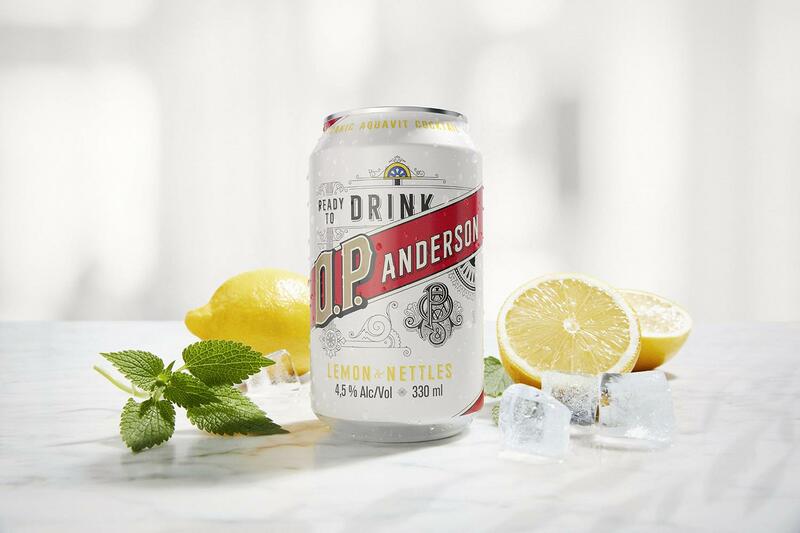 Not a bad move by O.P Anderson, the only weird thing is that more traditional brands aren’t going in the same direction. The last reason is that making cocktails with aquavit works great. Let’s see if we’ll find this new choice at the parties and bars this spring and summer. For more about aquavit check out this article. This is not the first effort by O.P Anderson to become part of the cocktail scene, check this out as well.